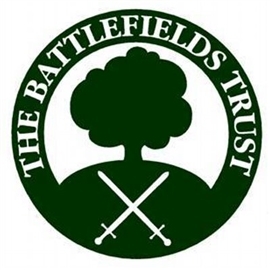 Naseby Battlefield Project has received £9,900 from the Heritage Lottery Fund (HLF) for an exciting project, to develop their plans to build a new visitor centre for the Battle of Naseby. Led by volunteers, the project focuses on arguably one of the most important battles in English history. On 14 June 1645, the armies of the King and Parliament met in fields just outside the Northamptonshire village of Naseby. It proved to be the decisive battle of the English Civil War. The King’s army was destroyed and the King’s cabinet and incriminating papers were captured. Within a year, the war was over and it established Parliament’s right to a permanent role in the government of the kingdom. Naseby was also a victory for the ‘new modelled’ army – Britain’s first regular, red-coated soldiers and is, for many, the birth place of the British Army. The vision of the Trustees and Patrons is to create the Naseby Battlefield Visitor Centre as an information resource about the Battle itself, the Civil War, the political and social history of the era, the rural environment in the 1600s and what life was like at the time. Commenting on the award, Chairman Lord Arthur Hazelrigg said: “We are thrilled to have received the support of the Heritage Lottery Fund to develop our plans for a visitor centre that will bring the Battle of Naseby to the national prominence it deserves. It will fully engage people of all ages in the significance of the battle of Naseby for our lives today and deliver an educational experience which engages children and people of all ages”.